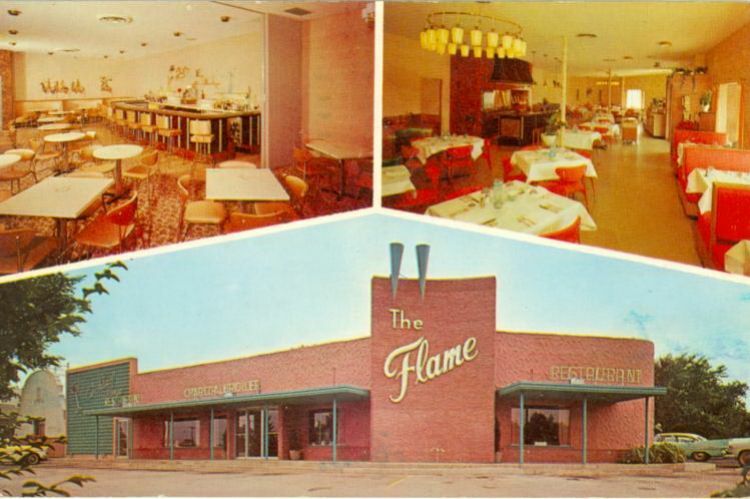 The Flame Restaurant (previously Nelson's, later the Viking) called itself "St Louis County's Most Gracious Dining and Drinking Establishment" at "The Crossroads of the Nation - Kirkwood, Missouri". It was home to the Golden Peacock Lounge and Key Banquet Room. This is all part of the Holiday Inn complex toady.